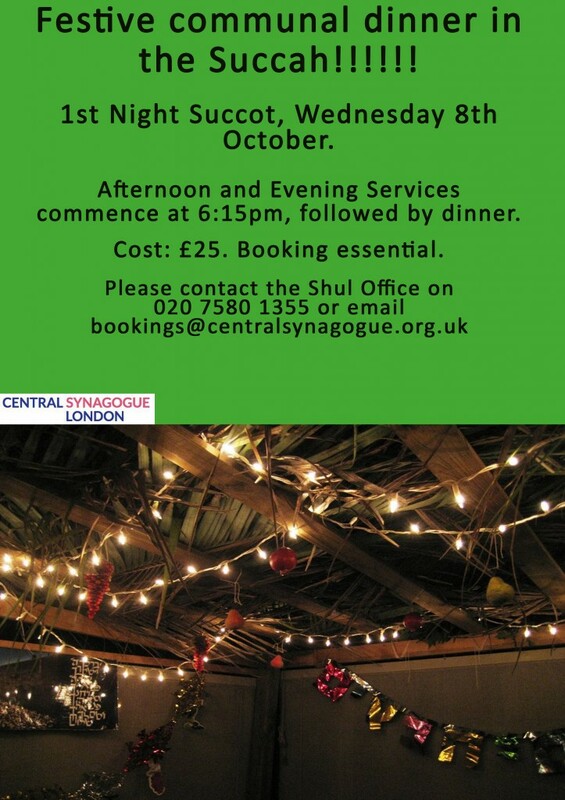 Festive communal dinner in the Succah!!!! 1st Night Succot, Wednesday 8th October. Afternoon and Evening Services commence at 6:15pm, followed by dinner.